Here on homify, we are so much more than just pretty pictures of breathtaking architectural structures – we are about helping you up your style and space, resulting in a more elegant and user-friendly lifestyle for you and your family. 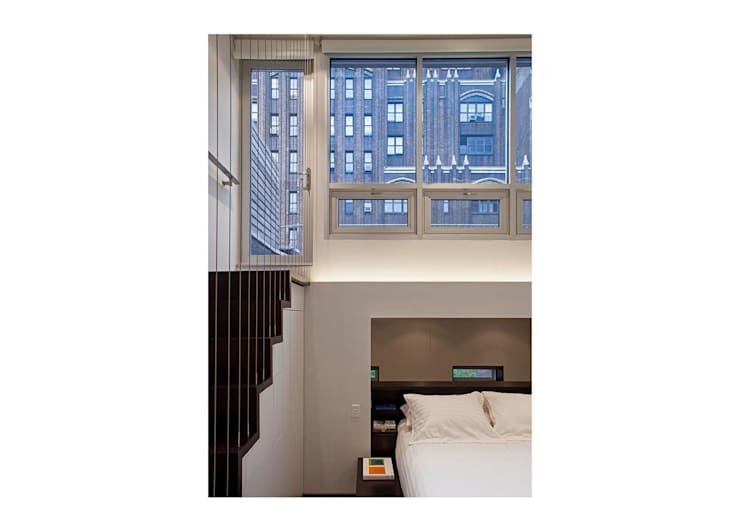 That is why we take a glimpse at a recently renovated apartment (located in Manhattan, New York) that went from small and cluttered to spacious and stylish – and no, no dark magic was used, it was all the result of some clever architects and creative thinking which, of course, you can also achieve in your tiny space back home. As necessity is the mother of invention, our architects came up with clever ideas to help save up space wherever possible. 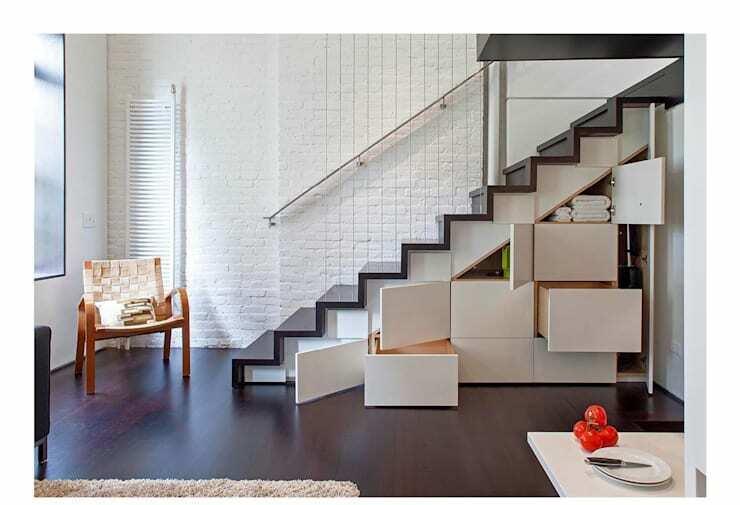 Take, for example, the ingenious solution of turning the space underneath the staircase into a storage area. Multiple drawers and cabinet doors magically transform this so-often-unused area into various storage areas, immediately cutting the clutter in half. Will this be possible at your place back home? One of the major ideas when it comes to adding more space in a house is the inclusion of a loft area – which, fortunately, this apartment already had. Ingenious idea, making use of wasted air/horizontal space to add some much-needed room. Of course this is only possible should you have the relevant ceiling height (and budget) available. But if you do, then there’s no telling what stylish changes are possible! Seeing as this apartment is a bit on the small side, the wise decision was made not to include any more walls. Thus, an open-plan layout is what our architects opted for, resulting in the kitchen and living room seamlessly flowing into one another. Creativity was definitely the order of the day when it came to changing the kitchen, but the keyword here is dedication: dedication to keeping that kitchen clean, open, and clutter-free. As we can see here, the furniture and décor style of the culinary space takes a minimalist approach, with only a handful of features taking up precious space. And just what does that loft area look like? Well, as we can see here, it is the master bedroom suite, flaunting the same less-is-more layout of the kitchen downstairs. 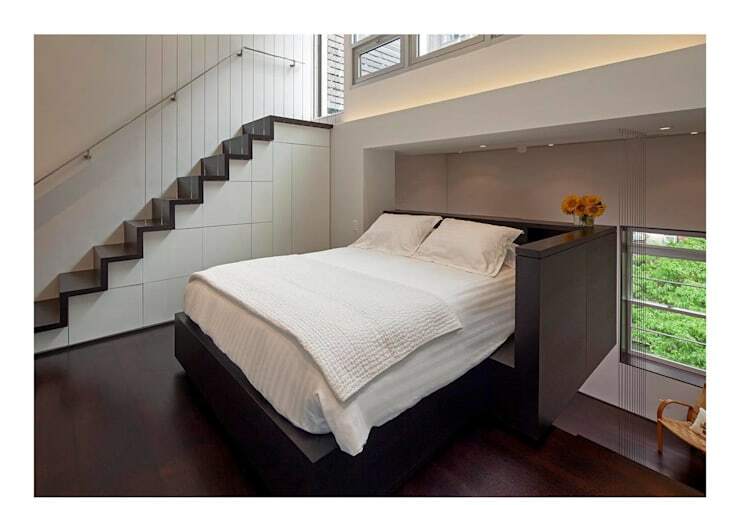 Only the most necessary elements were included here (with the bed being the prime space-taker, of course), resulting in a clean and tranquil layout – as it should be! A second row of steps leads up to a balcony outside – and yes, this one also has built-in storage compartments. But we just couldn’t depart without having at least a glimpse of the view that the balcony gets to enjoy on a daily basis. Thus, feast your eyes on that sublime cityscape which, thanks to the generous windows, becomes part of the bedroom décor, almost turning into some sort of lively wall art above the bed. 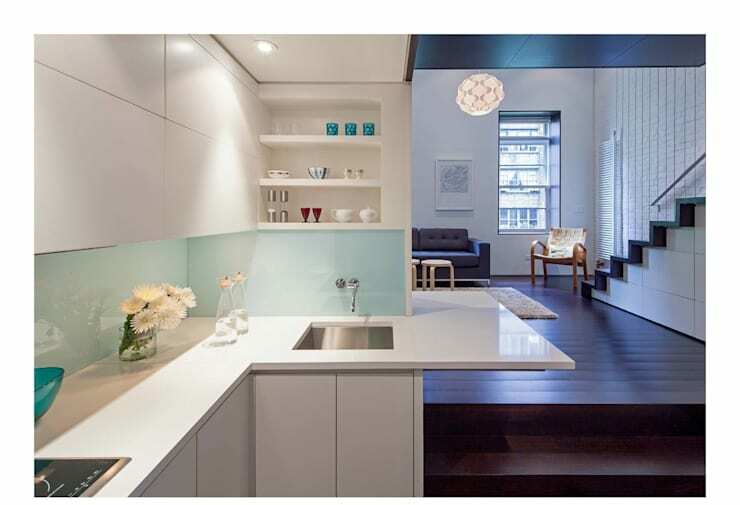 Now this is how living large in a small space is supposed to be done! 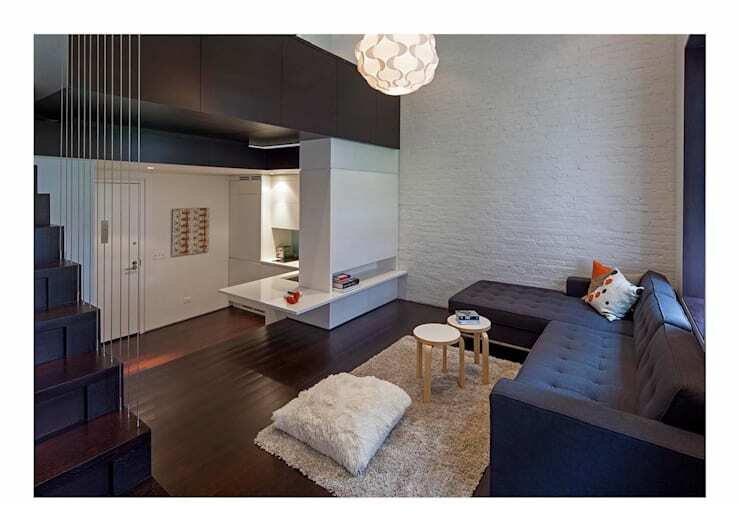 Take a look at our tips for: Creative Small Space Decor.